As far as I am aware, I am not allowed to talk about my job. Not in details. But I can say I have been working as a restaurant supervisor for the past year at Wembley and yesterday it was the last day for this season. I didn’t even want to work at Wembley at the beginning, it seemed so far away that I thought it wasn’t worth it. Then I entered the “why not” attitude and I am glad I did. I spent lots of sundays, saturdays and weekdays in this venue, running all over the place. I got a team that trusted me and that counted on me. I met so many nice customers that made me smile and feel I was doing a great job. I have seen plenty of sunsets from the glass windows. And I have been happy to be there most of the times. If I go back in time and think about myself when I started, I can see a totally different person: I was afraid of making mistakes, not sure I could do it. Instead, I made it. And even if it can seem a small achievement from the outside, for me it is a big deal because now I know how much I am worth (even if I had a pretty clear idea before ha ha). The past two years have been full of changes, challenges, tough times, tears, smiles but I am very proud of the person I am. 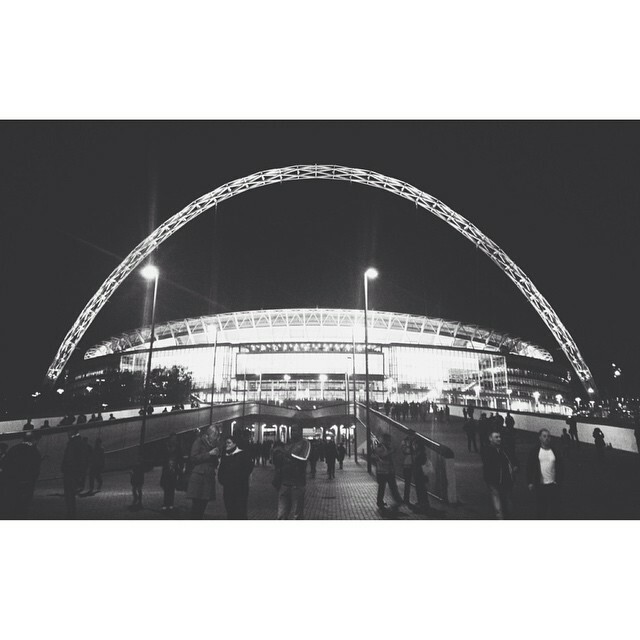 And Wembley, you have been really good to me. So goodbye for now, and maybe see you soon? Tags: fun, giuppylicious life, life, london life, wembley stadium, WorkCategories: London Life, What is that you're doing in London? PreviousWant to donate some money? This month go for Movember! NextThat unknown thing called “free time”.